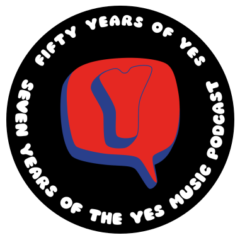 The fourteenth episode of the Yes Music Podcast featuring the thirteenth studio album, ‘Union’. Does a union of forces produce an unbeatable Yes album? Is this Anderson Bruford Wakeman Howe 2 + Big Generator 2? Talk on iTunes – can’t find it! Thanks also for the interview link – really fascinating stuff! Thanks do much for the comment, Paul! It’s great to know you are listening. I was fascinated to hear about Steve and Trevor. Wouldn’t an album with those two really working together be fantastic? I would most sincerely like to p*** all over your review of this album! You’re dead wrong and jaded!!! Nah, just kidding. I can see your points… and you justify each so politely (a feature of your show I admire). This was one of the first Yes albums I got into as a kid, so it has sentimental value to someone like myself. I never heard anything like Yes before and this was my real introduction and Miracle Of Life was my first real Yes Moment. I feel I should point out to you that most of the harmonies on I Would Have Waited Forever are not in fact Jon Anderson, they are Ian Lloyd. Listen closer! Anyhoo, I love this record… in hindsight looking back, its a shamble. A rotten mess of corporate proportions. It does however hold some value to my Yes Journey and felt I needed to stand up for it a bit. Thanks for the information on I Would Have Waited Forever, Scott – that’s really interesting to know. As you know, I don’t claim to be the world’s most knowledgeable Yes Fan – just a passionate one who likes sharing his passion – as I can see you do! It’s also great to hear someone standing up for Union – that’s what I like to see – a bit of dialogue. Thanks so much for taking the time to comment. Rick Wakemen didn’t call this album “Onion” for nothing (as he said it made him cry every time he heard it). A shame really as the “Union” tour was so good.